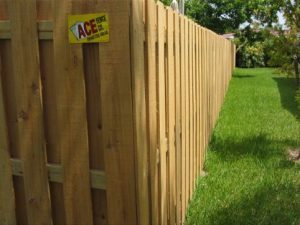 Here is everything you need to know to make a good choice between a PVC and a pressure treated pine wood fence in South Florida. Let’s start with this question because the other factors may not be as important if you have a definite preference. Some of the common reasons given for one selection over the other may be misconceptions. For example, some people like wood because it is a natural material and eco-friendly. But because of pressure treating to guard against rot and insects, this type of wood can’t be recycled whereas PVC is recyclable. Many people would prefer PVC but assume the cost is higher. It may be initially, but not necessarily over the life of the fence. Which is stronger, wood or PVC? All fences must meet standards of the local building codes which require that they be able to withstand a certain amount of wind load in our high-velocity hurricane zone. These are the toughest codes in the country. Because both materials will meet or exceed those standards, the relative strength of these materials should not be the most important criteria on which to base a decision. Wood feels stronger. PVC has flex to it. It is about 4 times as flexible as wood but it has 5 times the tensile strength of wood. Wood comes in Board on Board, Vertical Shadow Box, and Executive styles. It can be stained or painted any color. While painting adds cost, it gives color choices not available in PVC. PVC offers Tongue and Groove total privacy fencing which is also available with lattice or stake top accents. It is also available as Vertical Shadow Box as well as multiple open picket styles. Colors are still mostly limited to white, tan, and khaki. PVC was originally created in white to reflect the sun as much as possible and prevent its decomposition in extreme heat. With time and technology, this problem has been conquered but it continues with darker colors. The long-time goal has been to make PVC that looks like wood but with PVC’s maintenance-free and longevity benefits. Dark PVC now exists but must be shored up with aluminum inserts and the cost may be over twice as much as white PVC. PVC is virtually maintenance-free and was created as an alternative to wood because of the maintenance wood requires. PVC is non-porous, making it difficult for mildew to grow. Water and a mild detergent are all that is usually needed to clean PVC. Wood lives and breathes. It takes in and expels moisture. Moisture is conducive to mildew growth. Wood can naturally check, warp, and split. A wood fence will change color over time. Most imperfections are small and do not affect the integrity of the fence. To keep a wood fence looking good and lengthen its life, it should be power washed and stained periodically. Well maintained wood fences can last 20 years or more. But many wood fences do not last that long because people think they will maintain their wood fence but don’t end up doing it. Some people believe that PVC is very costly because when PVC first arrived on the market, years ago, it cost much more than wood, but the price has come down significantly. High-quality PVC remains costlier than wood but not by as wide a margin as many would expect. Over the life of the two types of fences, because of the maintenance cost of wood and the longer life cycle of PVC, PVC is actually less expensive. Some other people have only seen PVC fencing that they can buy at the home center stores and so they may believe that PVC is not very costly. That is not the grade and quality that is discussed here or sold and installed by Ace Fence Company nor most other fence companies. We question if that material can meet the building code requirements locally even with the added cost of wood posts into their 4” x 4” PVC posts and metal clips as they require. The grade of PVC discussed here is thicker and stronger in every respect. Posts, for example, are 5” x 5” which do not require the addition of wood posts to shore them up. The thicker rails fit into routed posts and are tabbed and screwed in place so that they don’t come out. No clips are needed. This material comes with a limited lifetime warranty as well. Which one should I buy, Wood or PVC? Assuming you do not have a strong preference for which looks best to you, and knowing there is no significant difference in strength or eco-friendliness, your decision may come down to upfront cost versus cost and effort of maintenance. If you know yourself, and you know you will be unlikely do the required maintenance, seriously consider the extra upfront cost of PVC if your budget will allow it. If you don’t think you will own your house for a long time, then consider the upfront cost versus the later resale value. There is one more local anomaly affecting the difference in price between wood and PVC. The applicable code in Broward County requires posts every 4’ for wood fences but the Palm Beach County code requires a wood post only every 8’. 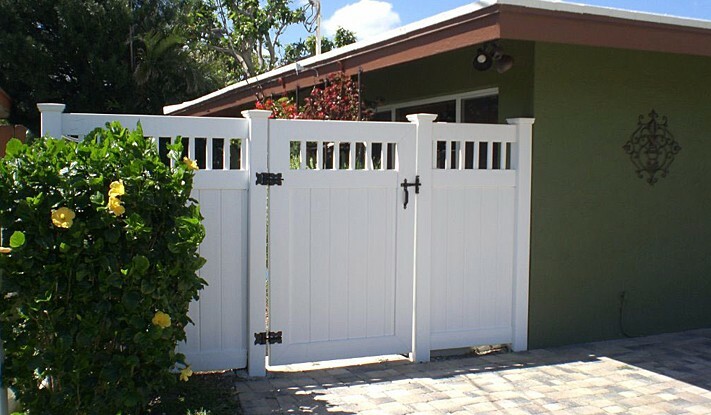 Wood fences, therefore, cost more in Broward County. Both counties require PVC posts every 6’ so the price for a PVC fence is the same in both. That means that the difference in price between wood and PVC fence will be less in Broward County and more in Palm Beach County. Ready to learn more? 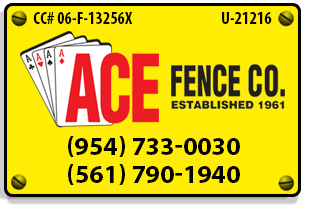 Click here to request a FREE Quote on PVC or Wood Fences!